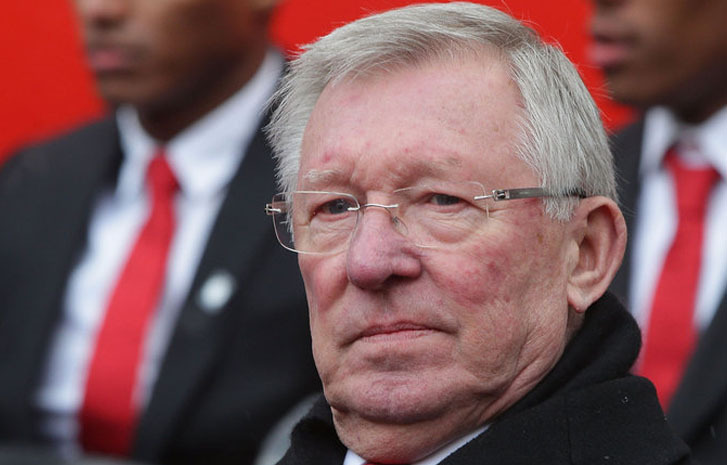 Alex Ferguson has shown promising early signs of recovery following emergency surgery on a brain haemorrhage, according to British media reports. The former Manchester United boss, who won 38 trophies in his 26-and-a-half years at the club, remains in hospital in Salford after it emerged on Saturday evening that he was seriously ill in intensive care. The Mail Online has reported that surgery went “very well” and was sitting up talking to family and friends at Salford Royal Hospital on Monday. The Sun reported that the prognosis “is good” for the Scot as he continues on his road to recovery. United midfielder Michael Carrick, who played under Ferguson, has spoken of the respect in which his former boss is held. According to Rte.ie On Sunday his long-term rival Arsene Wenger paid tribute to Ferguson following Arsenal’s 5-0 victory over Burnley. “Before I start, I just want to say, at Arsenal we care and I would like to wish my fellow manager Ferguson well and very quickly,” he said. “I was with him on the pitch last week, I went to see him in the box after the game on Sunday. One week later, he looked in perfect shape. “He told me he’s doing a lot of exercise, he looked very happy, but that kind of accident can happen. Newcastle boss Rafael Benitez also expressed his support for Ferguson. Speaking at his pre-match press conference on Tuesday afternoon, Benitez said: “I would like to wish a speedy recovery to Sir Alex Ferguson. At these times, it’s really important to have all the support that he can get.